"Like most girls, I had been planning my wedding in my head for years! When it came time to actually make decisions, I found myself loving the classic white and green color palette, while also feeling so drawn to the colors and textures of the Bohemian style. I wanted to bring in both of those elements into our wedding day so that when I looked back on the pictures years from now, it wouldn't be too "on trend", but it would still be "me" and represent my style well. The majority of the flowers did end up being white with greenery, which I loved. My bouquet and the arrangement that was on our altar table for the ceremony were the only two super colorful elements but I think they really tied everything together." "The invitations and guest book painting for our wedding were hand painted by my close friend and bridesmaid, Kayla McCarthy, who is a super talented artist. She completely understood my style and ran with it to create the most beautiful pieces for our wedding." "My bridesmaids and I spent the morning eating breakfast and having fun together getting ready in the cabins we stayed in at The Preserve. While of course there were butterflies and nerves, I was so thankful to have our wedding in a place that was really comfortable for both of us." "I loved the time I was able to spend getting ready with my bridesmaids and just preparing for the day. 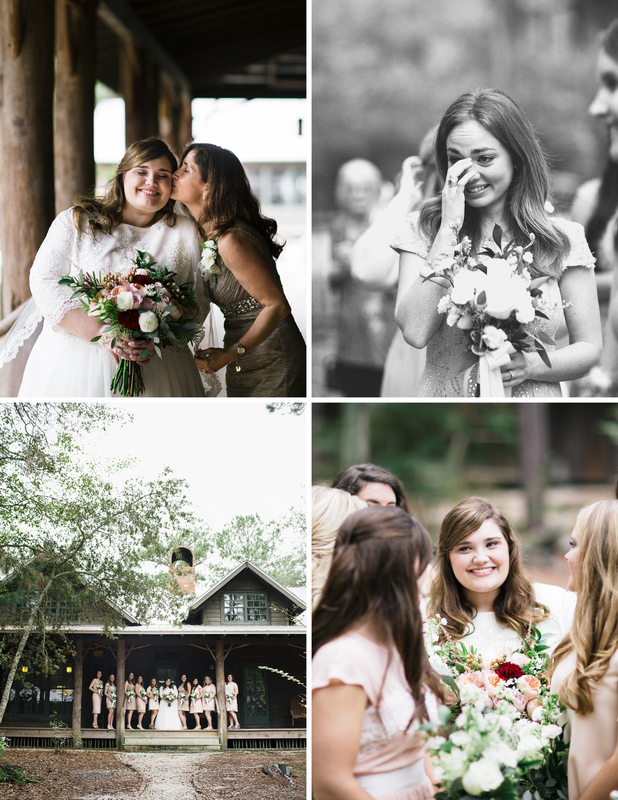 Most of my bridesmaids live in different cities or even states, so having them all together in one place was one of the most special things about our wedding day." "My great grandmother, on my mom's side, left me a beautiful little gold pin with tiny blue flower details when she passed away. It was included with a sweet letter in a little blue envelope with her handwriting on it. It was special to me to have that as my "something old" and "something blue", but I think it was even more special to my mom and grandmother to have a piece of her there in the wedding." "Before the wedding, I did a first look with my dad who hadn't even seen my dress at all until I was wearing it for our first look. That was a sweet time with him, as well as having both sets of grandparents come and take pictures with me and my immediate family." "My wedding dress was really special to me. I had a very specific vision of how I wanted my dress to look, but couldn't find what I was looking for anywhere. A good friend of mine, Erin Just, is an incredible seamstress and I asked her if she would be willing to help make my vision for my dress a reality. I found a dress with the skirt and bottom that I wanted, and then Erin created this beautiful top that buttoned up the back to go over the sleeveless dress.
" It was so beautiful and most importantly, it made me feel comfortable and beautiful as well. I wanted to feel and look beautiful on my wedding day of course, but more importantly I wanted to look back on the pictures and see "me"." "[One thing] I wouldn't change was the huge part that everyone I love played in pulling off a beautiful wedding. I loved that every little detail was personal and created by someone who means a lot to me. From the music, to the invitations, to the grass in the yard, everything was made possible by the hands of someone dear to me." "Stop worrying about the weather! There are so many details and things you have control over when planning a wedding but the weather isn't one of them! I would have relaxed a little more on the wedding day and just let whatever was supposed to happen, happen. Thankfully, an overcast sky turned out to be a beautiful backdrop for our day." 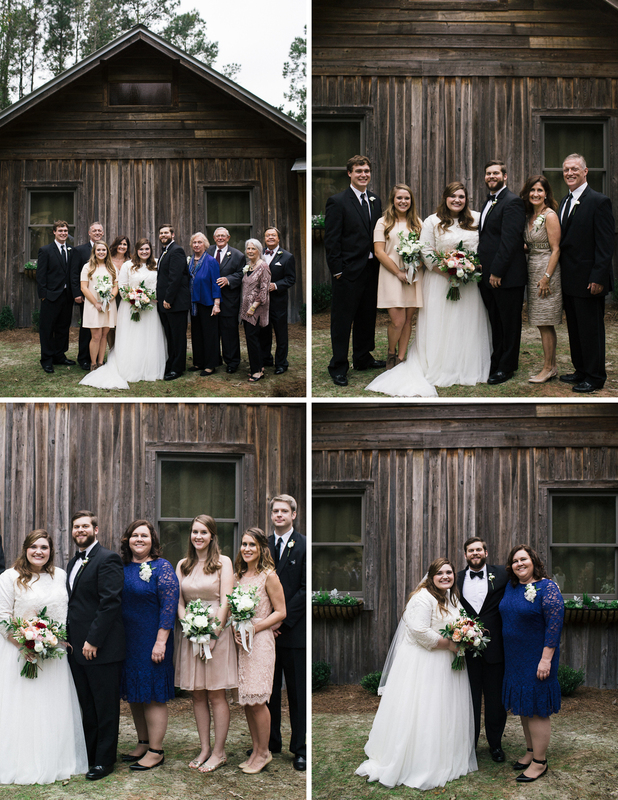 "One of the most important things to me in picking my family's cabin for our venue is that the atmosphere felt relaxed and familiar. Everything took place somewhere that I had been before, so it felt very natural to be there and make new memories." 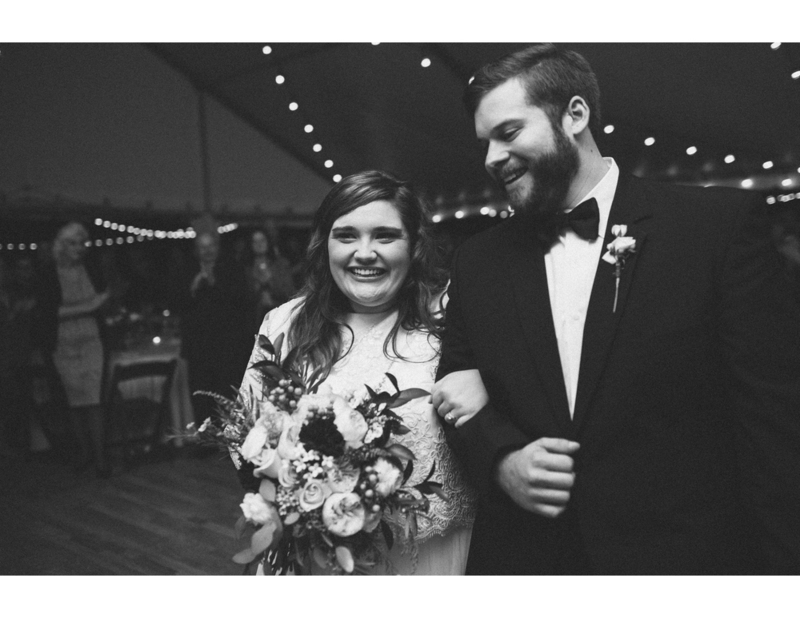 "I asked one of my oldest and sweetest friends, Emily Hearn if she and her husband Michael would be willing to play the music for our ceremony. Having someone who I've grown up with who is now a talented recording artist, play songs that she wrote and sang during my wedding ceremony was so sweet and special. Every time I hear her song "Please Don't Take My Love" it takes my back to the moments right before I walked down the aisle." 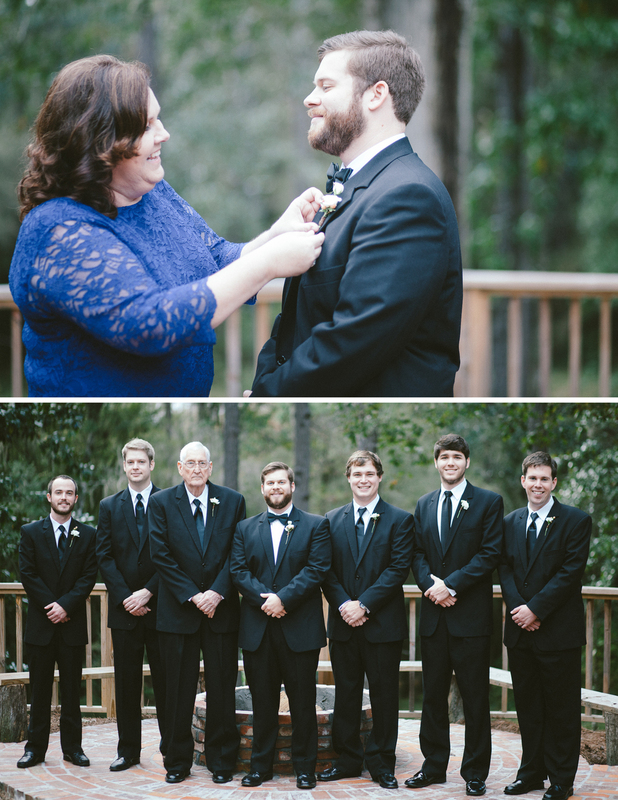 "There was a moment standing in the woods with my dad right before we were about to walk to the doors that lead down the aisle. We were listening to the music being played and he just reminded me to take everything in because the moments and hours ahead were going to go by so fast. I was so thankful for his advice and the simple reminder that at the end of the day, Ben and I would be married and that is what it was all about." "When the music played and the doors opened to Ben standing there and our families and friends all smiling at me, I really was taken back by all of the emotions I felt in that moment! Up until then I wasn't sure if I was going to cry or not, but I definitely had to fight back tears, especially seeing Ben's huge smile when he saw me for the first time. That's what every bride dreams of!" "Pinterest! Pinterest is a bride's best friend and worst enemy. I really tried to get lots of ideas of all different kinds of styles from Pinterest, and then observe common themes among things I had pinned such as colors, certain fun elements, etc., and narrow it down to a few things I wanted to incorporate. There comes a time when you have to stop pinning and starting thinking about little elements and details that are unique to you. That's what makes everything so personal and special." 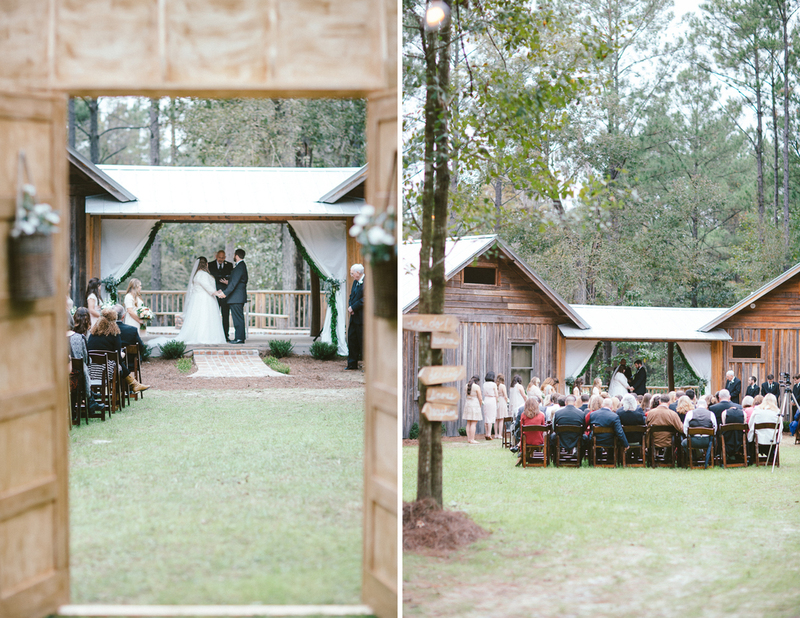 "The reception really did feel like a fairytale! I always knew that I wanted lights strung up in the trees to give everything that warm glow. 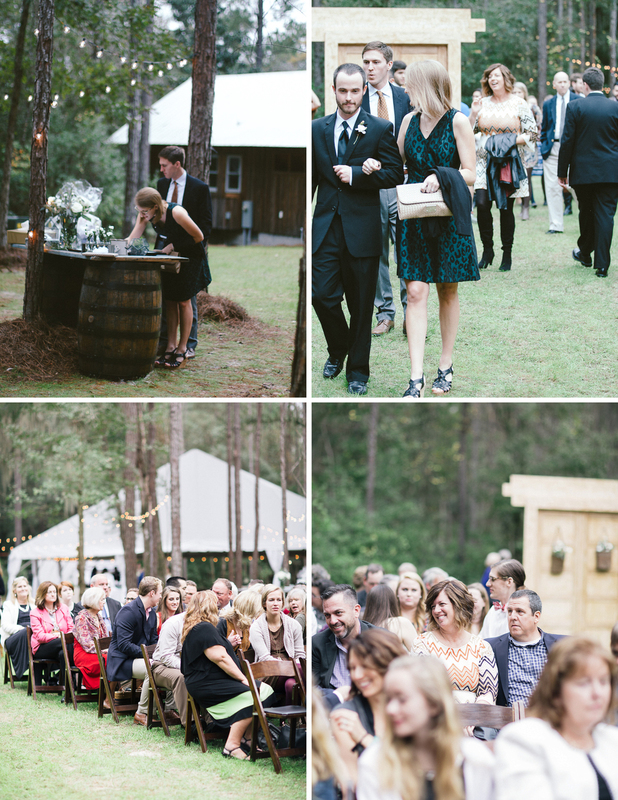 Everything just exceeded my expectations from the food, to the music, to the dancing and s'mores." "There is something so special about having all of our family and friends in one place to help us celebrate the best day of our lives! 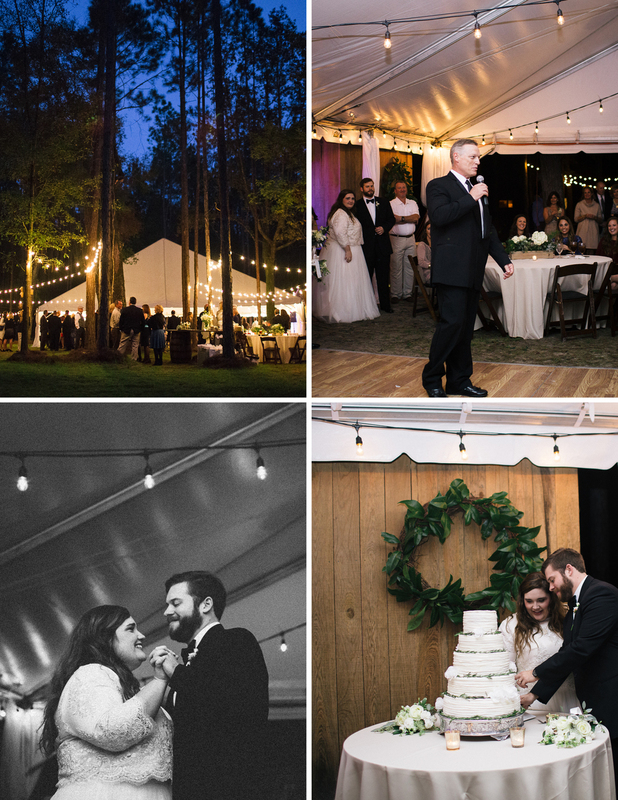 When I look back on the day of course I see all of the details that I so meticulously picked out and debated over, but more than that I remember the feeling of happiness and excitement and fun that took place under those glowing lights in the middle of the woods." Many, many thanks to Mary Margaret for sharing your beautiful heart with us! 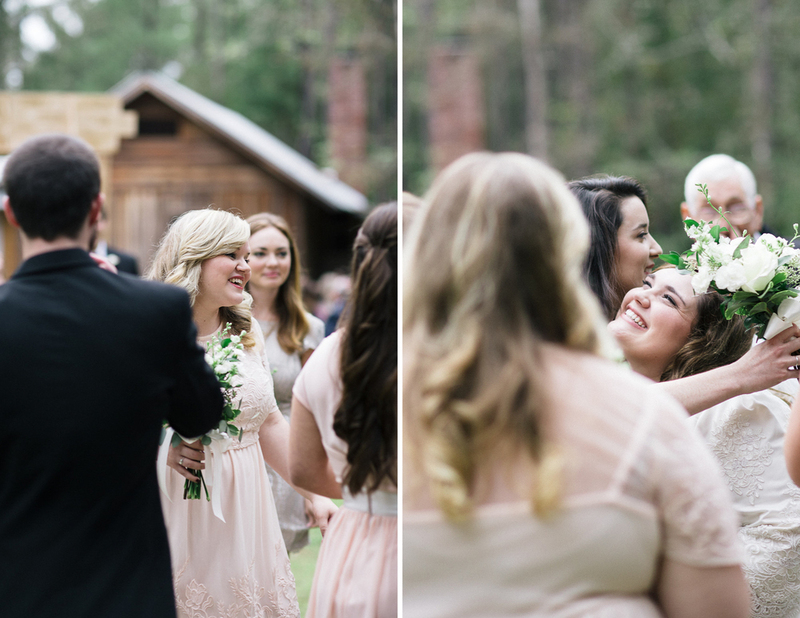 It is such a gift to hear your reflections on the all of the moments of your wedding day. Thank you! "Write out your top five priorities for your wedding--things that are the most important to you in making your day the way you want it. Everything else after that gets less attention, and less of your budget." This was so helpful for me because no matter what your budget, you still have to pick and choose where you devote your time and money. When making my list, I knew that the Photographer, Venue, Flowers, and Food were really my top priorities. Photography was number one on my list of things that were most important to me on my wedding day because pictures are really the only thing that you get to keep forever after--except your husband, of course ;)"